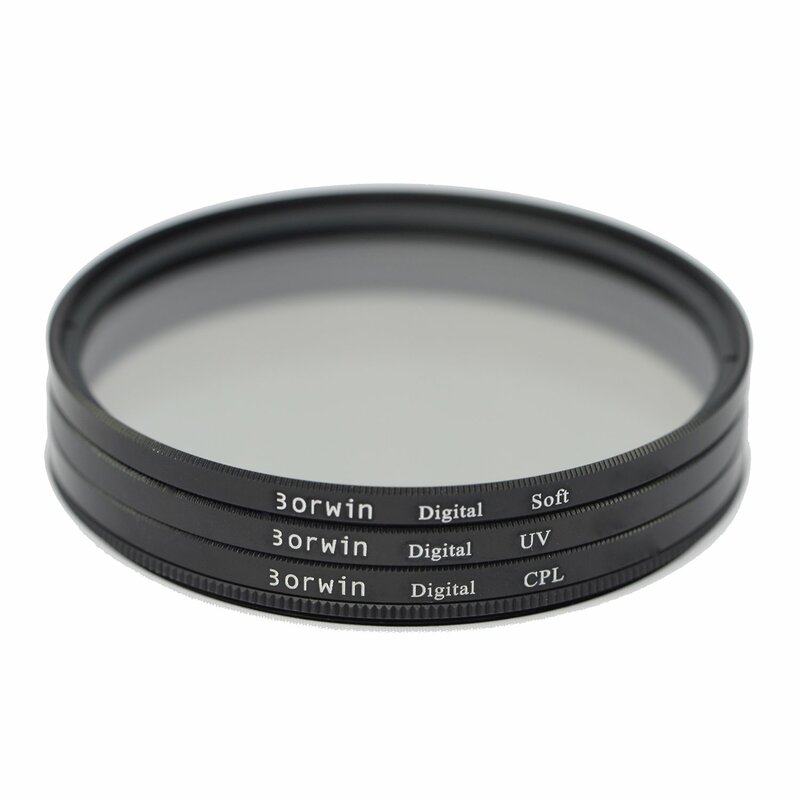 Uv filter is used to reduce haziness created by ultraviolet light, to which photographic film and sensors are sensitive, but not the human eye. It can be lEFt on the lens permanently to protect the lens. Circular polarizer (CPL) filter allows you to remove unwanted reflections from non-metallic surfaces such as water, stone, glass etc. They also enhance colors to become more saturated and appear clearer with better contrast. This Effect is often used to increase the contrast and saturation in blue skies and white clouds. Soft filter softens subjects and generates a dreamy haze. This is most often used for portraits or product shoot. To find out your lens' filter size, look out for marking (On your lens or lens cap) like ⌀77, which means the filter size is 77mm.